The #1 “Cold Hard Facts Guide” To Getting Approved For The Best Manufactured Home Loan Available! You’re Looking To Buy or Refinance, So Why Choose BuildBuyRefi Over other Manufactured Home Lenders? First and Foremost, We Provide the most Manufactured loan Programs of any 50 state bank, And We Do So working 7 days a week around Your Schedule, Not Ours! If you visited other websites looking for this type of loan, you would notice most start out with this one question: What is a manufactured home loan? Short answer, like any other loan it is a mortgage to cover your manufactured home, yet you already know the answer because you found us by searching for this specific loan type. We go steps further than other banks by focusing on the more important aspects you want to know can and how will you get approved at a low attractive rate and term. As an FDIC Insured Bank, we lend on manufactured homes in all 50 states. This Manufactured Home Loan Guide is designed to provide the information you need to make the best possible decision on who you choose to handle your loan. We aim to take the small town bank approach with the more significant 50 state bank risk, especially on this property type. We’re probably not the first company you found when starting your online loan search if it is, we’re lucky to have found each other first. Many lenders advertise for this property type who provide “not so great options” so let’s get right to it and first take a short test to see if you are in the right place. The top 5 ways to determine if your property is eligible. How to guarantee a low rate approval and fast closing. The 4 manufactured properties we loan against & available programs. The 9 manufactured program types we offer, and which is best. Credit score & income requirements for this loan type. Why should I consider buying or refi a manufactured home. How Do I know If my Manufactured Home Will Qualify For A Loan With BuildBuyRefi? Respond “YES” to Each Of the top 5 qualifiers, and you Are one-step closer to getting the best-manufactured home loan BuildBuyRefi has to offer. (1). You’re borrowing on land you will own at The time of purchase, or currently own for a refinance. When you do not own the land and make lease payments on that land, it is considered a chattel loan and not a mortgage. Meaning your property is still classified as a vehicle and not taxed as real property as defined by the county assessor. Manufactured or Mobile homes residing on leased land or trailer parks most likely are not permanently affixed to the ground and could be moved, and therefore too risky for a traditional mortgage lender to lend on. (2). Your property is on a permanent foundation, no longer classified as a vehicle. To qualify as a fixed real estate mortgage, your property must be on a permanently attached foundation. The foundation could be post and pier, basement, slab, or fixed skirted foundations where the home has been tied down, tongue, axles, wheels removed, and the property has been de-titled from the DMV. If you meet all of these qualifications and your property wasn’t correctly de-titled, contact us, and we will help you through this process. (3). Your manufactured property has not been moved more than once. Another deal killer, moving a home changes the structural integrity of the property, adds another layer of risk for the buyer, and for the lender creates higher risk, therefore un-insurable. It’s not impossible to get loans for these type of properties, but it is not possible through our bank. (4). Your Home was built AFTER June 15, 1976. If your home was built before this date, well it’s a no go. Under no circumstances can we lend on a property built before this date for the simple fact that it is not insurable. Most don’t tell you why so here it is. Manufactured home standards before this date simply were not the same as they were after that date, and every year newer, the building standards get even better. As a lender, we want to make sure you have the most durable and longest lasting manufactured home possible. If you have a loan for a property older than this, you need to be prepared to go to a local bank or credit union with a substantial down payment, or a higher risk lender who is willing to help finance this for you. (5). Your loan request is greater than $80,000. RARE occasions we loan down to 60k, but we have found that the higher rates below $80,000 cheat you out of getting a much more beautiful home. Sure you may have your reasons like buying a home for a friend, the property is cheap and exactly what you want, or you have a deal too good to be true. But does that loan make financial sense? If you are seeking a loan under $80,000 for your mobile home, maybe you qualify for an FHA 203k or VA renovation loan. Renovation loans allow you to upgrade your new home purchase or renovate your existing manufactured home increasing your loan amount, equity position, home value, and lowering your rate at the same time. Before we discuss the programs, we offer, and we offer EVERY Manufactured Loan imaginable which meet’s the above requirements, let’s review the most important ways to make the process as smooth as possible. How Do I Guarantee I’ll Be Pre-Approved & Close Fast With A Low-Interest Rate? Applying and getting approved for a manufactured loan is only the first step in the process, it doesn’t guarantee you’ll get the rate, terms, or program were pre-approved for initially. Many factors go into achieving that low rate and great program you wanted, and that is “the speed in which YOU move.” Time plays against every borrower in a big way with any loan. Learn the 4 most important reasons to “light the fire” and Take Fast Action on Your manufactured Home Loan Pre-Approval! Your Credit Score Could Dramatically Change: We’ve seen last-minute credit changes happen many times before. A borrower maxes out their credit card for business, they miss a payment because they weren’t paying attention, or judgment was filed for many reasons. 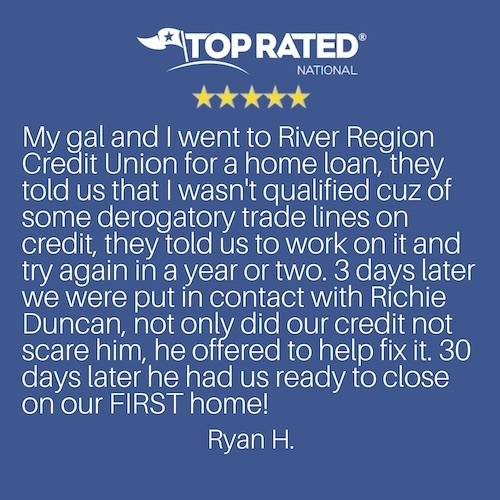 Not closing quickly under the same credit terms is another reason for underwriters to require you to re-qualify or cancel the loan. Follow These 3 steps to Get the lowest Manufactured Home rates possible today. Request a rate lock on your loan once you are pre-approved and get your lender every item needed as fast as necessary to close your loan, so your rate lock doesn’t expire. Your side of the process is only complete when the loan is closed, not when you think you sent enough to satisfy what the underwriter requests. Take responsibility and move fast, as you know rates have been on the rise as of lately. Wait too long, and you could end up with a higher interest rate, therefore qualifying for a smaller loan amount than if you locked in faster on a lower price. It’s your job to ensure you meet all requirements, not the loan officer or lenders position to hold the file open as long as possible paying for the rate lock extension out of their pocket. Locks cost money because your lender is reserving the funds and rate you wanted. It’s your responsibility to ensure you move fast as not to let that lock expire or it could end up costing you thousands. What Style Of Manufactured Homes Do You Lend On, And What Program Types Are Offered? BuildBuyRefi Will Loan On These 4 Styles Of Manufactured homes. A manufactured home that does not come in sections, it is delivered in one section from the retailer, or already existing on the land, it is larger than 400 sq. ft., and built after June 15, 1976. A maA manufactured home that typically comes in 2 sections, more than 400 sq ft, and when delivered it fits together and permanently affixed. Usually with a seam down the middle that is covered and hidden like you never knew it was there. A manufactured home, usually three sections, definitely more significant than 400 sq ft. Typically, a custom built property for more space like extra bedrooms, larger entertaining area, or master suite. The rarest of manufactured homes made up of 4 sections for those wishing to have the most substantial square footage possible for their family. Lots of bedrooms, large living spaces, and permanently affixed to a foundation. These terms (Conv., FHA, USDA, VA) refer to the program type and more often it is decided based on what your goals are. These can also be determined by other factors such as location, loan amount, borrower status, and borrower’s desired transaction request. Each program has a different set of product offerings underneath it that are uniquely different. These 4 different program types are available Through BuildBuyRefi. The government does not insure conventional loans and typically require a higher equity position to qualify. There are no 100% Conventional financing programs available for manufactured homes. However, you can go up to 95% on purchase, and up to 85% on cash out. This product type is most often chosen when you have a more substantial downpayment like 20% helping you to avoid mortgage insurance on a purchase, or when the equity in your home is less than 80%. Why pay mortgage insurance when you have the equity in your property to qualify without it? Conventional home loans require a higher credit score and lower debt to income ratio than those of their FHA, USDA, and VA counterparts. FHA stands for the Federal Housing Administration; a government agency devised to help increase homeownership to those with lower credit scores, income amounts, and higher debt ratios. Because of this the FHA loans come with Mortgage Insurance and does not automatically drop off when you get lower than 80%, you will be required to refinance out of an FHA loan if you want to drop the mortgage insurance monthly premium. However, the FHA loan allows up to 96.5% on a purchase, meaning you can get in for as little as 3.5% down payment. In other cases like the FHA 203k loans, you could purchase a new home and rehab or renovate at the same time, in theory going over 100% of the purchase price you agreed upon to design the house how you want it. FHA also allows for up to 85% cash out when you are looking to consolidate debt. Additionally, the FHA loan can be used in combination with our BuildBuyRefi one-time close (OTC) single closing construction loan for both homes and land up to 96.5%. The FHA has maximum loan amounts depending upon your properties specific county location. USDA Rural Development Loans For Manufactured Homes. The U.S. Department of Agriculture backs these loans to increase home ownership in qualifying rural communities. To qualify the home, you buy or refinance must be in a qualifying area. Mortgage insurance is also required for USDA loans. However, the monthly MI amount is currently lower than that of a comparable FHA loan. Additionally, the USDA allows up to 100% for brand new manufactured homes in all 50 states as long as you meet the required minimum credit score. Also, your debt to income ratio (DTI) must be lower than what the FHA requires. However they allow for large tracts of land, and there are USDA qualifying areas in all 50 states. USDA is not yet funding purchase loans on used manufactured homes except for a few qualifying pilot states, so be sure to ask us first before putting a USDA contract on a used manufactured homes. Other caveats to be aware of is that USDA will not under any circumstances offer a cash-out or debt consolidation under their guidelines, but they do offer the USDA renovation program for qualifying upgrades to structure and interior, and for this program, you can go up to or higher than 100%. And if you are looking to refinance the rate to make it lower, reduce your MI to current levels, or change the term you can go up to 100% on the USDA Streamline Assist refinance. Besides, we allow borrowers who are looking to build their own home and buy their land the one-time close construction loan up to 100%. The USDA has maximum income limits per number of people per household but does not come with a maximum loan amount limit. 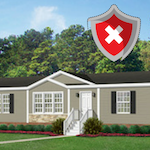 VA Manufactured Home Loans For Active Military, Disabled or Retired Veterans, and their spouses. Some of the best benefits available to Veterans and their spouses are still the VA home loan benefits. Of all manufactured loan programs, the VA loan offers the highest loan to value, the lowest interest rates and comes with no mortgage insurance at all. This is why more Veterans should be taking advantage of this program at every chance they can get. Sometimes Realtors will turn away this loan type, that means you’re working with the wrong realtor because they are the strongest of all government-backed home loan programs. Every program offered through the VA allows for 100% or higher in loan financing. Purchase, cash-out, consolidation, VA IRRRL streamline the VA Renovation loan which we offer now up to $50,000.00 where other lenders are still only providing $35,000 for structural rehab and interior renovations. Besides, we also offer the full 100% OTC construction loan, buy your land and home in one loan, not three separate transactions. The VA home loan comes with fewer reports required for manufactured homes as well, so it moves much faster, though we are wicked fast on all product types. You will even be able to large tracts of land and have certain exceptions granted that you will not find in conventional, FHA, or USDA programs. The VA loan does not have any location restrictions or income restrictions, but it does have certain DTI and loan amount restrictions based upon what areas you are buying in. The 9 Manufactured Home Loan Products We Offer, and How To Determine Which Is Best. Our Most Popular Manufactured Home Loan Products & Details. A purchase loan is for buying a new primary residence, second home, or investment property. The types of purchase loans we offer are Conventional, and government back programs like FHA, USDA & VA manufactured home loans. 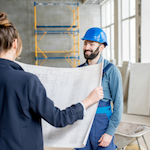 A standard purchase loan is most common for a property that is already built, however, they can be combined with a renovation or a construction loan program. Read more about these programs below. A cash-out refi is a quick and straightforward loan. You choose to take cash equity out of your home for personal use, or you're consolidating credit cards or other loans. Thereby you are converting your equity and trading off for a lower monthly payment on all total debt. We have all Conventional, FHA, VA, Manufactured Cash Out Home Loans. A streamline is strictly for those looking to lower their interest rate or modify their loan term only. No cash-out, debt consolidation, or renovation is allowed with this program. We offer all Conventional, FHA, USDA, and VA streamline refinance manufactured loan types. There are streamline program is available for each product type. For conventional it’s the Rate/Term refinance, FHA is called the FHA Streamline, USDA is the USDA Streamline Assist Refi, and VA has the VA Interest Rate Reduction Refinance, also known as the VA IRRRL Streamline Refi. We provide partial or full rehab & renovation loan options for manufactured homes. A rehab or renovation loan is designed to get you the updates you desire in one low rate loan and can be used on a purchase or refinance even if you owe 100% of your current homes value. We allow full and limited FHA 203K Loans, USDA Renovation, & VA Renovation / Rehab Loans. The second most requested loan we have at BuildBuyRefi is the Rehab and Renovation loans we offer. The most popular being the FHA 203k Limited Loans allowing up to $35,000 for partial updates and upgrades like remodeling the existing cosmetics or appliances but no structural changes, followed up with the FHA 203K Full which allows more significant renovations such as structural changes like room additions, sq. ft. addition, advanced structural work, or expansive updates. The next two most popular renovation programs are the VA Renovation Loan, which we offer the highest of $50,000 in renovations compared to the majority of lenders providing only $35,000 and the USDA renovation loan offering $35,000 in updates as well. For all limited renovations, you can use the money for new flooring, kitchen and bath remodeling, minor structural and safety issues, and cosmetic updating. No luxury item upgrades are allowed under either program such as swimming pools, spas, saunas, bathhouses, outdoor fireplaces, tennis or basketball courts, or anything that would improve the commercial use for the residence to name just a few. Construction loans are for those ready to undertake the exciting process of choosing the exact plot of land to build and designing the custom facets of the home they wish. It’s also utilized if you already own your piece of land and want to combine everything into one low rate loan. We offer up to 100% FHA, USDA, VA One Time Close Construction Loans for land & the complete build-out, or in the case of a manufactured property, the construction and permanent location to your site. Our most popular loan program every requested is the BuildBuyRefi One-Time Close Construction Loan, also known as the Single Close Construction Loan. This product type allows borrowers that currently have a credit score less than 720 (standard construction requirements) but above a 620 credit score now build their own home exactly how they want it, where they want it. Instead of the three loans, it takes to complete a traditional construction loan, and we do it in one closing. That’s right, just one single closing! Find the land you want, or if you already have it, build the home you want and roll it into one loan. No more separate loans, separate costs, different appraisals, and most importantly, no separate qualifying for each loan in the process. Most importantly, you can lock in your final interest rate now before rates rise, which you can not do on construction to permanent financing before you started to break ground. While the costs can be higher than traditional loans, you won’t find the multitude of 96.5% or 100% programs offered in the market today as you will with BuildBuyRefi. We have every FHA, USDA, and VA one-time close construction program provided at the highest limits possible, indeed making homeownership a custom dream. Jumbo loans are used in cases where the loan amount exceeds the limits set forth by the underwriting guidelines for conventional, FHA, USDA, and VA Manufactured Home Loans. The rates are typically a tad bit higher, and the loan to value is often less than any of the programs requiring a more substantial equity position for approval. Jumbo Home loans are used only when a manufactured home exceeds the loan amount limit set by normal limits set under Conventional, FHA, USDA, and VA guidelines. You may find yourself needing a Jumbo loan if your property is in a high-cost area, or has a large tract of land. Most commonly reserved for stick built properties, we have many programs that will allow borrowers to access capital to borrow against this property type, the most popular being the VA Jumbo Loan which has no mortgage insurance and requires the smallest down payment when buying new. There are no 100% jumbo home loan programs, but we can get close. A reverse mortgage is where you receive payments monthly from the equity in your home instead of making interest payments on your mortgage. If you are over the age of 62 and your home is either paid off or almost paid off, it still qualifies for a reverse mortgage. Reverse home loans are most attractive for those on fixed incomes who find it harder to pay for day to day necessities or who want to use the equity to pay off higher interest debt and eliminate their mortgage payment. Don’t let a property that is on large acreage pass you by, contact us if you want that manufactured home on more extensive tracts of land but your realtor is trying to steer you away. We have every FHA, USDA and VA program available to meet your needs. And while they aren’t making any more land, you want to get it while it’s you have the opportunity to do so, and we want to loan against it for you. Manufactured Homes 400 sq. ft. or larger. Have a tiny home and land that you love and don’t want to move it? Put your small house on a permanent foundation and get a low payment manufactured mortgage for it! Conventional, FHA, USDA, and VA all allow for financing of manufactured homes that meet or exceed the 400 sq. ft. requirement. Also, it's important when the property is appraised that we can find comparable property, so be sure to talk with your realtor and loan officer regarding loaning on a property that has small square footage and large acreage. What Credit Score & Income Is Required To Get Approved For A Manufactured Home? Generally, we want a minimum “middle of the 3” credit scores On Manufactured Loans To Be Over 580. Your rate will depend on many factors since rates change daily, sometimes multiple times a day, the quote you receive today most likely will be different tomorrow. That is of course if you have not locked in your loan. Borrowers with a 580 credit score may see a little higher rate than those with a 620, 680, 720, and so on. The reason is due to investors offering better rates the higher your score is. They do this because those with higher scores have proven to be of lower credit risk than those with higher scores. The streamline refi is the most effective loan used to lower a borrowers interest rate, and in most instances will not require a new appraisal because you are only reducing your interest rate or term. It is also possible to have a lower score like the VA streamline refinance as this loan looks at your overall improvement to your financial situation and is not relying on your credit report. Do you loan against bad credit for Manufactured homes? What is the lowest score you accept? In some cases yes, we’ve done them as low as 530, but it’s incredibly difficult and let’s explain why. The pricing adjustments that come for lower scores and loan amounts become a high risk for the lender. And due to us offering the best programs government-backed lending has to offer, we stay away from dancing with any loan that targets what the government deems to be high costs. If it's possible your credit score falls under the 580 line, there could be some areas that credit repair could help you obtain a better rate. In many instances, you don’t have to go through a 3rd party credit repair company as today’s lenders have tools to help you determine what moves you can make on your own to improve your score. Do what is needed and not only would you get a lower interest rate, you could qualify for a more substantial loan amount with better home options than if you settled for borrowing with worse credit. The 5 Acceptable Income Types When Applying For A Manufactured Home Loan. Do not assume that because you are getting a better offer that it will be approved. Changes like these scare underwriters and will increase the amount of documentation you get, it could delay your closing, cost you a rate lock, or you could lose your purchase money escrow altogether. What Sets BuildBuyRefi Apart From Other Manufactured Home Lenders? The Truly Determined Borrower Ultimately Wants The Best Rate & Program Possible, And At BuildBuyRefi, We Know We Offer Some Of The Absolute Lowest Rates On The Market For Manufactured Homes. The Top 3 Reasons Why Other Lenders Find It Hard To Compete With BuildBuyRefi In The Manufactured Market. Most lenders, brokers, and banks only have a few programs, certainly nothing near the vast array of manufactured loan products we have. Their rates are higher and loan term shorter because they can’t touch the monthly volume we produce. They don’t offer the high loan-to-values because they still view this property as the less desirable property type, increasing their perceived risk. Most are not seasoned veterans in the manufactured lending sphere, meaning the loan officer you worked with might never have closed one of these properties before, and that is a dangerous mix. You need a banker that knows how to navigate these properties, and most of our bankers have 15-30 years experience each lending on these property types. 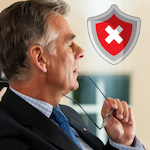 Your local bank or credit union may be acting like they are doing you a favor to keep you with them, but in fact, they don’t want this property type on their books. They may talk you into putting more money down or taking a higher rate saying they are making an exception to the guidelines. In this case, their inability to be competitive or desire for your property type is costing you more just by staying loyal. And while we love loyalty, we feel you shouldn’t take a rate that is 2-5% higher requiring 20% or more down to sacrifice for that loyalty. Why should I still consider buying or refinancing a manufactured home knowing many lenders don’t treat them like Standard Mortgage Loans? Just because a broker, bank, or lender offers a worse program doesn’t mean the property is terrible at all, they're unfortunately not the banks for you. The top 3 reasons to buy or refinance a manufactured home. #1. Lower price than a stick built home. Most manufactured homes flat out cost less than a comparable stick-built home, and for that lower cost, you can get many upgraded features in your manufactured home that many buyers in higher stick built neighborhoods don’t have in their home. Imagine getting jetted tubs, stainless steel appliances, front and rear decks, skylights, and more bedrooms and bathrooms than a comparably sized stick-built home that is brand new versus 50 or 100 years old like many parts of the country. #2. Quality as good as or better than a stick built home. Manufactured homes are built inside, in controlled environments, meaning the structure isn't exposed during construction to harsh elements like rain, high winds, snow, or hail. Even though stick-built homes are treated with lumber designed to withstand the elements, there can be defects. So if you want the cleanest most control designed house on the market, you will find that modular and manufactured homes built inside a facility far beat their stick-built counterparts. Also, because these properties ship in sections, they need to meet and exceed quality control testing that a standard stick built home doesn’t go through along the process. #3. Possible to gain equity faster than a stick built home. It’s entirely possible that because you got such a great deal on the price of your home and where you are putting it on the land you will own, that you could have equity starting from day one. Brand new manufactured homes placed on land you own does not depreciate, and when you combine the house and property, you create a new appraised value that in most cases is higher than the loans you took out for both.